What is Next Gen TV and when will it launch? The U.S. Federal Communications will soon move forward on a 2-year-old proposal to experiment with spectrum sharing in an effort to deal with a skyrocketing demand for mobile data bandwidth and increasingly crowded mobile services, the agency’s chairman said Monday. FCC Chairman Tom Wheeler plans to soon distribute a plan to implement spectrum-sharing recommendations made by the President’s Council of Advisors on Science and Technology (PCAST) in 2012, he said during a conference on spectrum regulation at the Brookings Institution in Washington, D.C.
Spectrum-sharing technologies, along with an upcoming two-sided auction of spectrum now controlled by U.S. television stations, “hold the promise to completely revolutionize the way we manage our airwaves,” Wheeler said. The PCAST spectrum-sharing report called on the U.S. government to share its spectrum in the 3.5GHz band now used by radar systems. Radar systems could share the spectrum with other wireless services using small cells, the report said. In the upcoming FCC proposal, the 3.5MHz band would be designated an “innovation band,” as outlined in the PCAST report, Wheeler said. His proposal would allow for three tiers of priority access to the shared spectrum, with government agencies and licensed users getting the highest priority. But there would also be room for “general authorized use” of the shared spectrum, he said. Wheeler’s proposal would also include a single, “highly flexible band plan,” instead of craving up the 3.5GHz band into small pieces for separate uses, he said. The goal is to avoid “the analog trap of Balkanizing spectrum into sub-bands, each with its own set of rules,” he said. The FCC proposal would also include a flexible licensing and auction plan, he said. 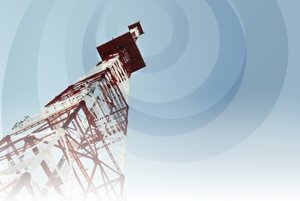 The FCC released a notice of proposed rulemaking on spectrum sharing in December 2012, but some critics, including trade group CTIA and some Republican lawmakers questioned the PCAST plan, saying the agency should focus instead on reallocating spectrum and selling it. Demand for spectrum will only increase and the FCC will run out of 5MHz pieces of spectrum to carve out for specific uses, said Preston Marshall, a wireless networking researcher at Google, said at the Brookings event. During his speech, Wheeler also promoted the incentive auctions, scheduled for mid-2015, in which TV stations will be able to sell off their spectrum holdings in exchange for a portion of the price paid by bidders. The first incentive auctions may be a new way to reallocate additional spectrum going forward, Wheeler said. “If it is possible to marry the economics of demand with the economics of current spectrum holders, it should be possible, then, to allow market forces to determine the highest and best use of all spectrum,” he said. 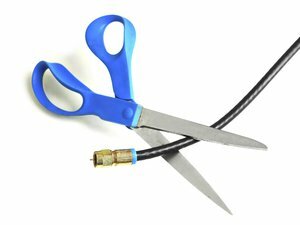 TV stations will be able to continue in their business by sharing spectrum and “turn around a get a check for the spectrum they’re vacating,” he added. The Brookings event included a discussion of a paper, by J. Pierre de Vries and Phil Weiser, both at the University of Colorado, calling for changes in the way the FCC mediates spectrum interference disputes. The authors called for a new legal process to handle interference complaints. Grant Gross edits and assigns stories and writes about technology and telecom policy in the U.S. government for the IDG News Service. He is based outside of Washington, D.C.